Adored for professional-grade make up brushes and sumptuous shadow palettes, Morphe’s All Eye Want 6-Piece Eye Brush Collection unites six synthetic brushes and a glitzy black brush bag in which to house them all. 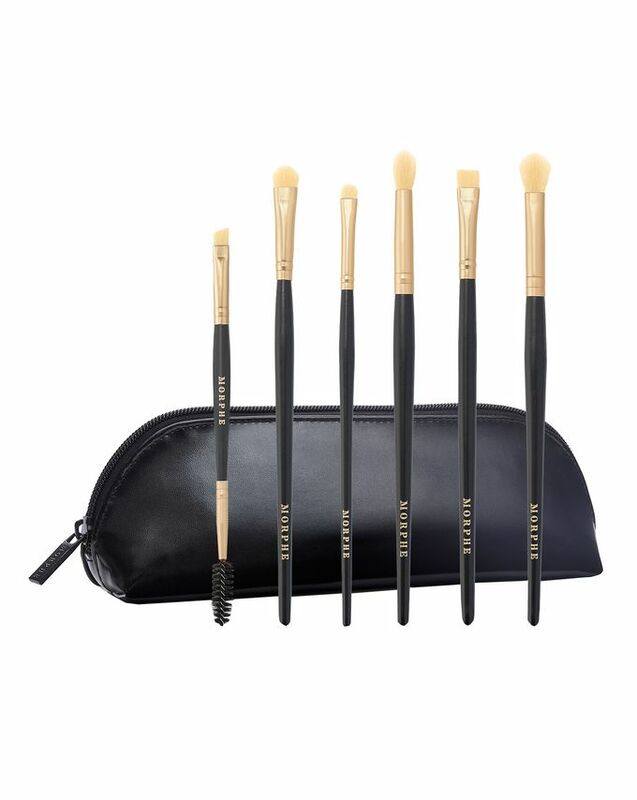 A perfect, purse-friendly gift for any make up maven, this set contains everything required to ace your eyeshadow and brow look – from a brow-taming dual-ended spoolie to smudge and chisel brushes, there’s a brush for ever curve and contour of your eye. Purveyors of professional-grade make up brushes and sumptuous, 35-pan shadow palettes, Morphe will enable you to make up like a make up artist – including a dual-ended spoolie and angle brush, smudge brush, small chisel brush, tapered crease brush, line definer brush and firm blender brush, you can guarantee this set will impress novices and pros alike without breaking the bank. Just as the tittle says those brushes are all our eyes want... They're perfect - soft and makes shadow application and blending a dream! Synthetic brushes which do not blend eye-shadow at all. I brought the set as a gift for my sister and she just loves them! So soft and dense brushes make blending a piece of cake! I will be buying more. I was not sure about these products. 18£ for 6 brushes?? Could they really work? Yes. The brushes are easy to work with, soft on the eyes. I love them. And together with the brushes, you get a nice makeup bag. Great value for superb brushes! 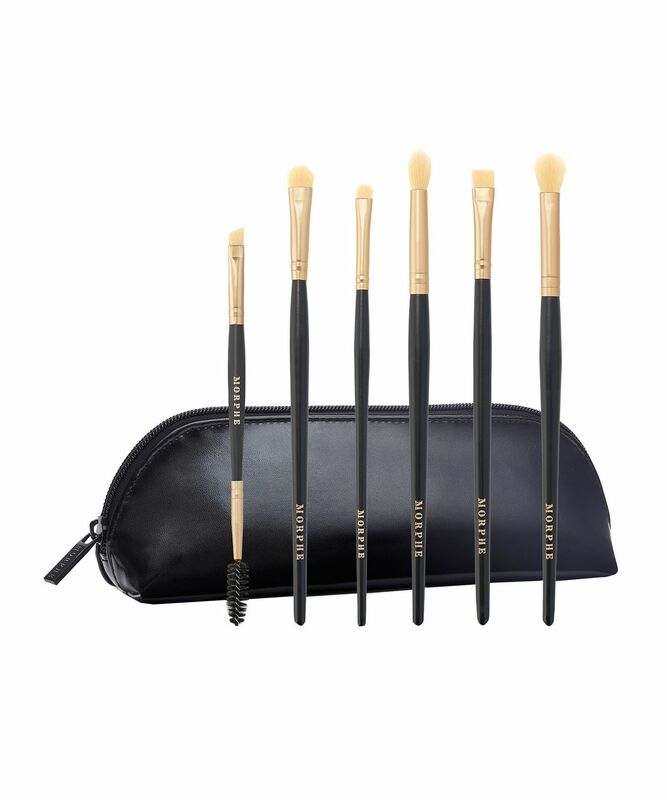 Very good Christmas present, brushes were all very fluffy and very good for the money the bag it came in was cute and good for everyday use, worth the money. Good value for the money. Very small blending brush. Brushes are for detail make up work and good Xmas gift!